Australia is an independent Western democracy with a population of more than 22 million. It is one of the world’s most urbanised countries, with about 70 per cent of the population living in the 10 largest cities. Most of the population is concentrated along the eastern seaboard and the south-eastern corner of the continent. Australia’s lifestyle reflects its mainly Western origins, but Australia is also a multicultural society which has been enriched by over six million settlers from almost 200 nations. Four out of ten Australians are migrants or the first-generation children of migrants, half of them from non-English speaking backgrounds. Aboriginal and Torres Strait Islander people totalled 410 003 at the last census, nearly 2.2 per cent of the population. Two thirds of the indigenous people live in towns and cities. Many others live in rural and remote areas, and some still have a broadly traditional way of life. It is generally thought that Aboriginal people began living on the continent 50,000 to 60 000 years ago, and some authorities believe their occupation may date back 100,000 years. Australia is the only nation to occupy an entire continent. Its land mass of nearly 7.7 million square kms is the flattest and (after Antarctica) driest of continents, yet it has extremes of climate and topography. There are rainforests and vast plains in the north, snowfields in the south east, desert in the centre and fertile croplands in the east, south and south west. About one third of the country lies in the tropics. Australia has a coastline of 36,735km. 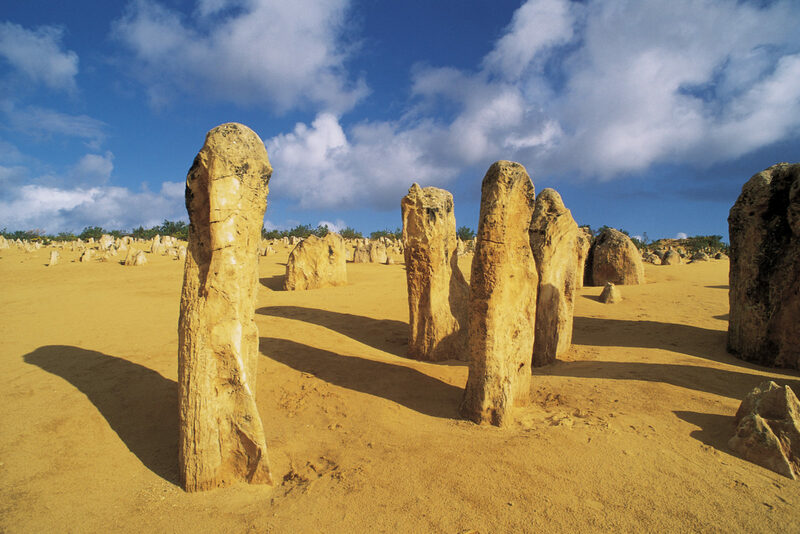 Isolation of the Australian island-continent for 55 million years created a sanctuary for the flora and fauna. 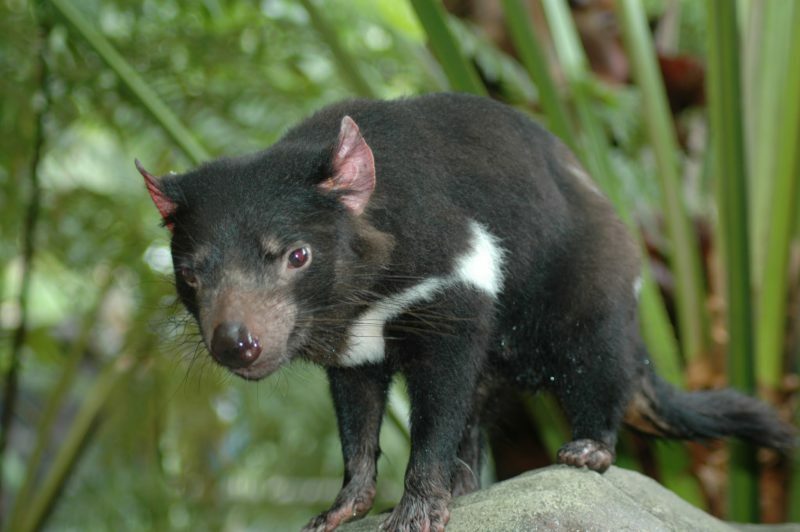 Marsupials were saved from competition with more highly developed mammals. Birds unique to Australia also survived, and distinctive trees and plants developed. Australia’s best-known animals are the kangaroo, koala, platypus and spiny anteater. Of more than 700 bird species listed in Australia, 400 – including the large, flightless emu – are found nowhere else. Australia has 20,000 species of plants, including living fossils such as the cycad palm and the grass tree, and brilliant wildflowers such as the waratah, Sturt’s desert pea, the flowering cones of banksia trees, and the red and green kangaroo paw. The continent has 700 species of acacia, which Australians call wattle, and 1,200 species in the Myrtaceae family which includes eucalypts or gum trees. Australia’s national anthem, Advance Australia Fair, is a revised version of a late 19th-century patriotic song. It was declared the national anthem in April 1984, replacing God Save the Queen, which was designated the royal anthem. In the same year, Australia officially adopted green and gold as its national colours. Australia’s official language is English, by common usage rather than law. Australian English does not differ significantly from other forms of English, although some colloquial and slang expressions are unique. The flag of Australia is the only one to fly over a whole continent. The small Union Jack represents the historical link with Britain, the large seven-pointed star represents the six States and the Territories, and the small stars form the Southern Cross – a prominent feature of the southern hemisphere night sky. Australia’s coat of arms – the official emblem of the Australian Government – was granted by King George V in 1912. The arms consist of a shield containing the badges of the six States. The supporters are native Australian fauna – a kangaroo and an emu. A yellow-flowered native plant, wattle, also appears in the design. Australia’s national day, Australia Day, on 26 January, marks the date in 1788 when Captain Arthur Phillip, of the British Royal Navy, commanding a fleet of 11 ships, sailed into Port Jackson (Sydney Cove). Phillip formally took possession of the eastern part of the continent for England and established a settlement, now Australia’s largest city, Sydney. Air travel and the great variety of Australia’s attractions are combining to bring more international tourists to Australia every year. Overseas tourists are drawn by Australia’s sunshine, sandy beaches, the vast outback, rainforests, the Great Barrier Reef, unique flora and fauna, the Gold Coast of Queensland, and the attractions of the cities, Australia’s friendly, multicultural society, and the safe and welcoming environment. Tourism is one of Australia’s largest and fastest-growing industries. In 2007, 5.6 million international tourists visited Australia, tourism is an $81 billion industry that employs around 500,000 people. In 2007, Australia’s largest export markets were Japan, China, the United States, Republic of Korea and New Zealand. Australia’s exports of goods and services grew by 3.8 per cent to $218 billion in 2007, about 20 per cent of Gross Domestic Product (GDP). On average, Australia’s exports have grown by 8.7 per cent per annum over the past five years. While Australia’s largest export sector is minerals and fuels, manufacturing is also a major part of the economy. Advanced manufactured items accounted for around 60% of Australia’s total manufactured exports. Many of the companies producing these goods are integrated into global supply chains, one of the key manufacturing trends of the new millennium. The Australian Trade Commission (Austrade) is the Australian Government’s international trade promotion and facilitation agency. Austrade assists international buyers of goods and services to develop trade connections with Australia and assists Australian businesses to increase their exports. Austrade also helps companies to reduce the time, cost and risk involved in doing business internationally. Austrade is represented in Australia and in more than 140 overseas locations in over 60 countries. Australia welcomes foreign investment. It recognises the important role foreign investment plays in boosting economic growth, developing competitive industries, creating jobs and increasing exports. The stock of foreign investment in Australia at 31 December 2007 totalled $1.6 trillion. Similarly, investment offshore is vital to the development of regional and international marketing strategies of Australian firms and enables access to global business networks. The stock of Australian investment abroad was worth $884 billion.